Mostly about art, but with some ethnic slurs, visual puns, and symbolic flags. 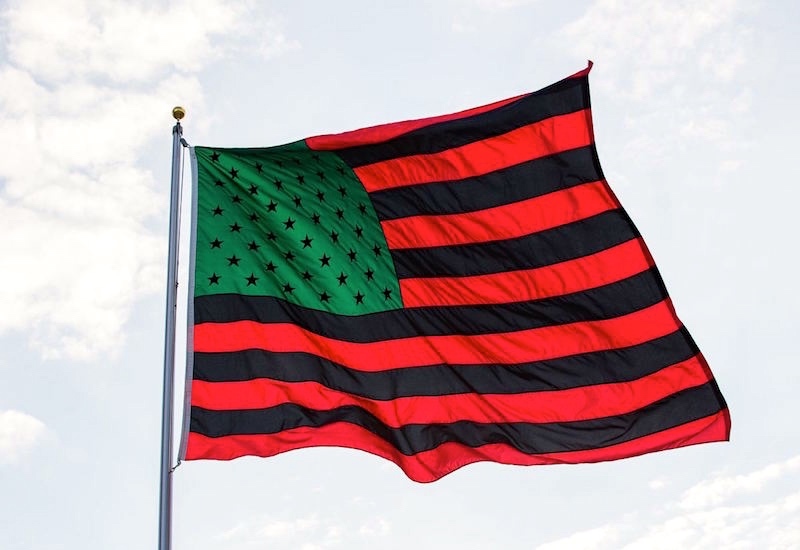 A version of the U.S. flag done in the three colors of the Pan-African flag: red, black, and green instead of red, whte, and blue. You are currently browsing the archives for the Visual puns category.